The first textual mention of historical Gandhara, the region that lies in the northwest of Pakistan and eastern Afghanistan, was in the ninth century BCE. Over the next nine hundred years the region was conquered by Alexander the Great, the Indian Mauryan dynasty, the Parthians, the Indo-Greeks, and finally the Central Asian Kushan Empire. This complex history, with its many cultural influences, formed the foundation for a region where Buddhism and Buddhist art would flourish and develop unique characteristics. 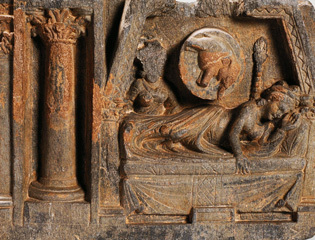 This exhibition explores the primary characteristics that make works from Gandhara of such profound cultural significance, featuring stone sculptures and reliefs, bronzes, and works in gold dating from the first century BCE to the fifth century CE—from the Indo-Greek through Kushan periods, and closing with the beginnings of Sasanian rule there. The Buddhist Heritage of Pakistan is the first exhibition to bring works of Gandharan art from Pakistan to the United States in more than fifty years. 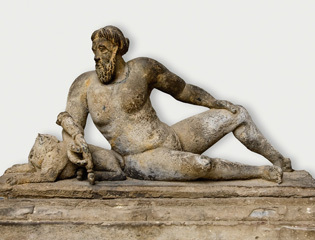 Art from Gandhara is notable for its striking stylistic qualities, many of which reflect complex connections to Greco-Roman and Parthian art. The region was a crossroads where the early influences of the western classical world met with Indian imagery and local practices. At the same time, Gandhara is also important for the unique forms of Buddhist imagery that emerged there. These include an array of relief scenes from the life of the Buddha, images of multiple buddhas, and sculptures of bodhisattvas. 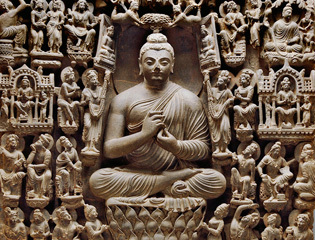 The legacy of Gandharan Buddhism and its remarkable art can still be detected throughout Asia. Although its heartland was located in present-day Pakistan, Gandharan culture spread through Central Asia and reached the Tarim Basin. Many ideas and images that developed in Gandhara eventually traveled to China, and from there to Korea and Japan. This extraordinary history makes Gandharan art of enduring importance to scholars east and west.